If there's one man who knows from originality in video games, it's Viktor Antonov. He's the man responsible for the oppressive, beautiful art design of City 17 in Valve's masterpiece Half-Life 2. 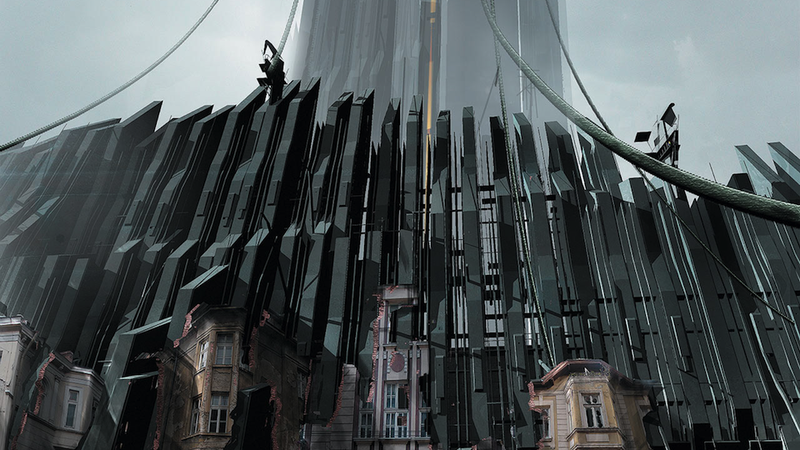 One of the main reasons that I'm excited about the upcoming Dishonored is that Antonov will be art director. Just check out this gallery of the man's work. He's a true original. But Antonov is generally unhappy with the current state of video games. In an interview at Eurogamer, he laments: "It's been a poor, poor five years for fiction in the video game industry." Antonov's observations mostly revolve around the fact that there are so few new ideas for games, and that so many games look the same. He sees the fact that the closest touchstone for this year's Dishonored is BioShock, a game from 2007 that doesn't actually have all that much in common with Dishonored, as cause for concern. "I'm not a harsh critic of games," Antonov insisted. "I'm extremely happy of where technology has gone. But artists and art directors should make their own life a little bit harder by pushing management to take more artistic risks, and use the technology to a better, higher level. That's what I've been doing and suffering by - I've been spending as much time creating, as convincing the people who are financing games how important it is. "We were always waiting for the next generation of great worlds or great graphics. Well, great graphics came; the worlds that came with these graphics are not up to the level of the graphics. "Graphics used to be an excuse 10 years ago, that we can't make great worlds. Right now, we have a lot of New Yorks, we have a lot of war games. Please everybody," he pleaded, "let's do more science-fiction and more crazy worlds out there." Antonov advises that developers stop trying to make games that are all things at once. "Now a game is trying to pack too many games - narration, music, contemplation, shooting - that they lose the experience." Instead, he suggests, developers should make more specialized games that pick one thing to do and do it well. Read the rest of the article, which talks in-depth about the process behind Dishonored's city of Dunwall, at Eurogamer.